This dessert was totally out of our element. We normally never venture down the tricky dessert road. We normally stick to the fairly basic cookies, brownies, cupcakes, etc. This was all new to us so we had to try our best. And, fortunately, we succeeded. My pictures don’t necessarily do the finished product justice because, yet again, the lighting in our kitchen at night is pretty terrible. 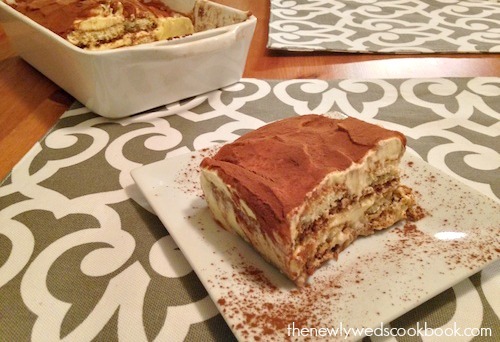 But please trust me when I say this dessert was SO good! 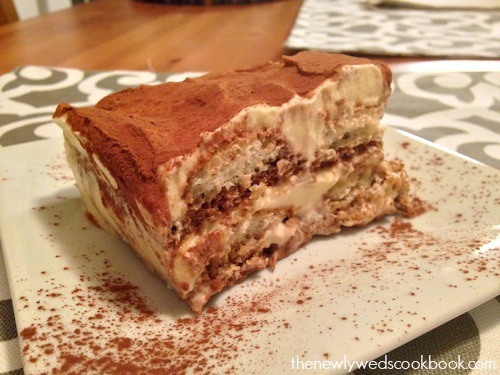 Better than any restaurant tiramisu we have ever had. 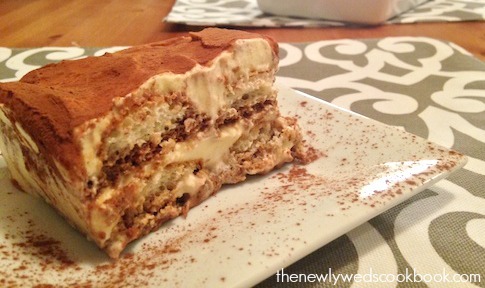 I also made a special trip with my mom to Whole Foods to get the ingredients for this dessert. I normally don’t go to Whole Foods because I all of a sudden loose all will power and want to buy everything because I am a sucker for packaging, and everything there is packaged so well! The other reason is simply because it’s too expensive. But if I could, I would always do my grocery shopping there. That special trip was worth it because this dessert was phenomenal. Follow along for the directions! 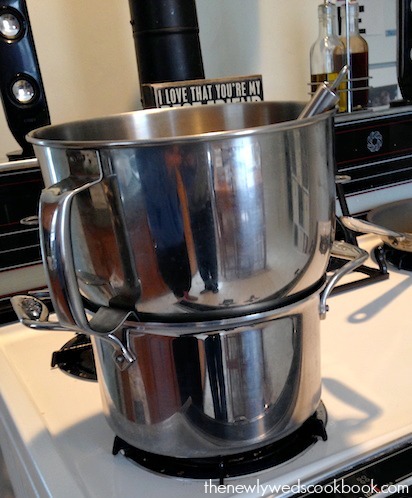 Note: We had to improvise with the double boiler, so we used our KitchenAid bowl. Any metal boil, or even smaller saucepan would work for this. Ceramic bowls can work, but they absorb so much heat that it can take forever. Don’t use plastic! 1. 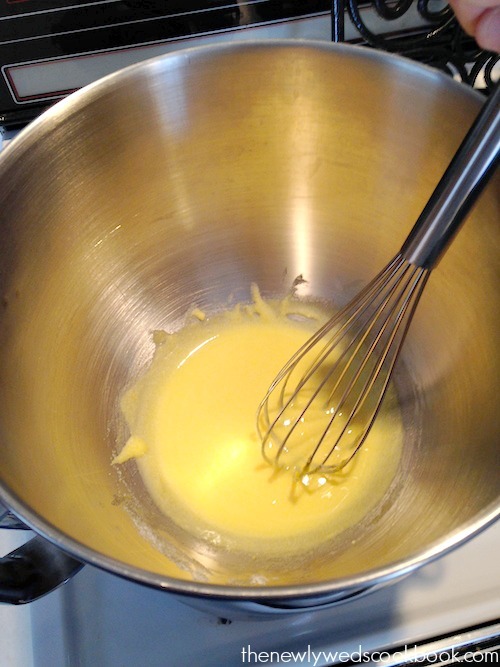 Combine the egg yolks and sugar in the top of a double boiler, over simmering water. (We had to improvise and use our bowl from our KitchenAid). Cook for about 10 minutes, stirring constantly. Remove from the heat and whip yolks until thickened and look more ‘fluffy’. 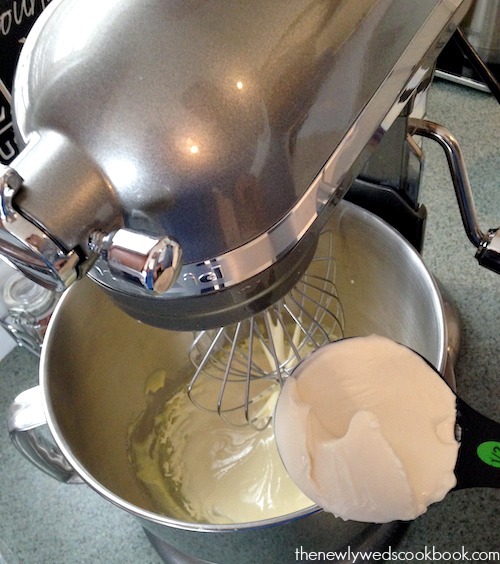 We used our KicthenAid for this with the whisk attachment. 2. 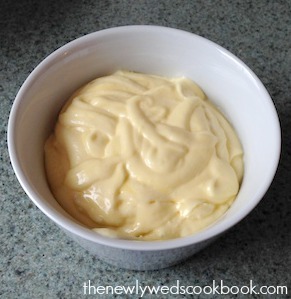 Add mascarpone cheese to whipped yolks and beat until combined. (We did this in our KitchenAid, makes for an easier process). 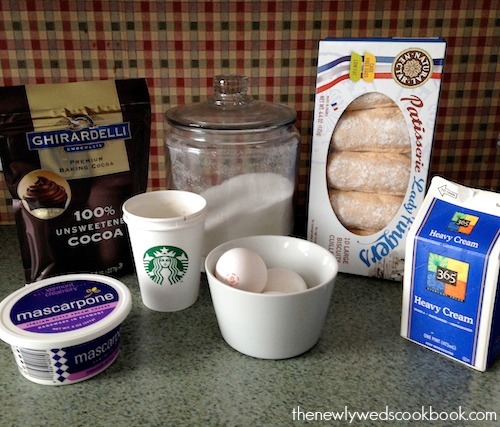 Once combined, spatula this mixture into a separate bowl and set aside. 3. 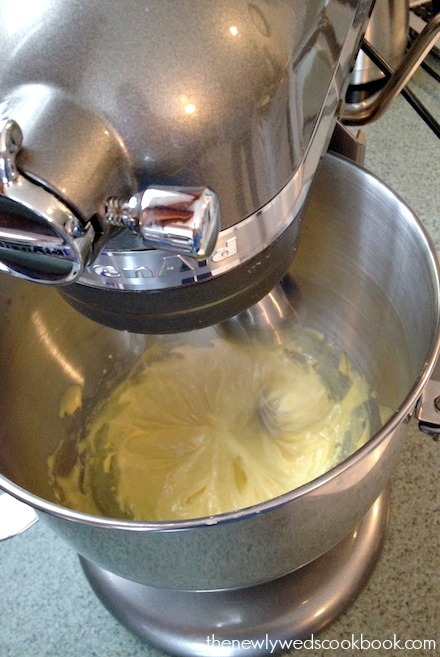 Back to the KitchenAid, (make sure its washed after the egg yolks have been in it) whip the heavy cream until it can make stiff peaks. 4. 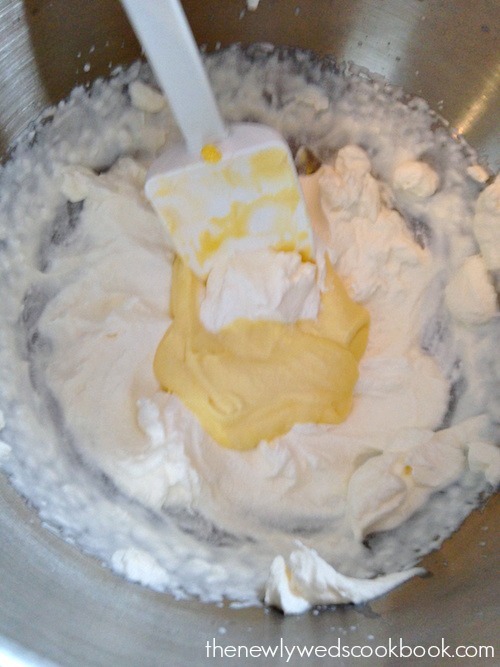 Gently fold the whipped cream into the mascarpone/yolk mixture and set aside. 5. Dip the lady fingers into the espresso (we just got ours from Starbucks and let it chill in the fridge) just long enough to get them wet, make sure not to completely soak them. Try to conserve your espresso here, the fingers really absorb a lot of it and you want to make sure each one gets its turn! 6. 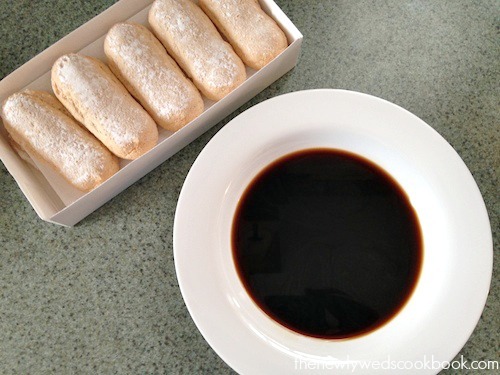 Arrange the espresso dipped lady fingers in the bottom of a small casserole dish. 7. 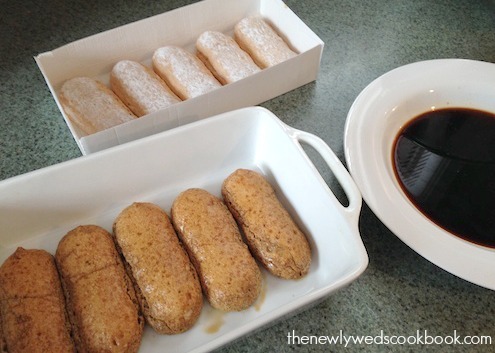 Spoon half the mascarpone cream filling over the lady fingers. 8. 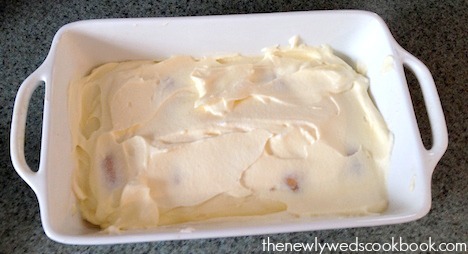 Repeat this process with another layer of lady fingers and cream. 9. 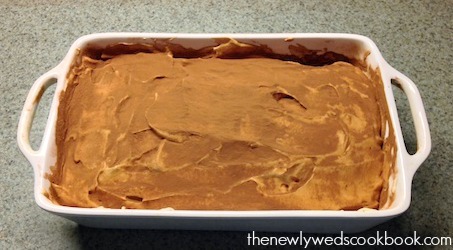 Cover with saran wrap and refrigerate for 4-5 hours. 10. Sift unsweetened cocoa on top of the tiramisu before serving. 11. Cut a big piece and enjoy!